Several Arunachal BJP leaders including ministers to join NPP tonight? As the Lok Sabha and Assembly polls in Arunachal Pradesh are round the corner, there is possibility of a big erosion in the State BJP tonight. 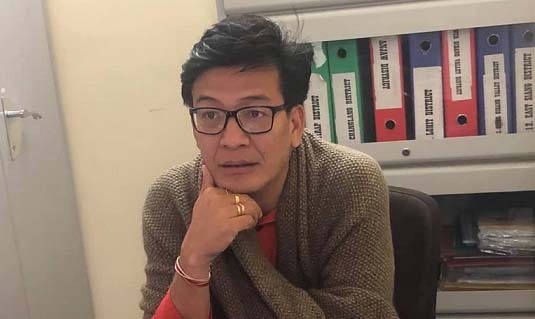 Such a possibility became apparent following the resignation of Arunachal Pradesh BJP’s general secretary Jarpum Gamlin after being denied party ticket to contest the ensuing Assembly elections in the State. Arunachal Pradesh BJP general secretary Jarpum Gamlin resigned from the party’s primary membership on Monday. The Bharatiya Janata Party (BJP) on Sunday declared the names of candidates for 54 seats in the 60-member State Assembly. According to information, besides Jarpum Gamlin a total of two BJP ministers and 5 MLAs from Arunachal Pradesh are camping in Vivanta by Taj Guwahati. Sources said all these BJP leaders are likely to join the National People’s Party (NPP) led by Meghalaya chief minister Conrad K Sangma tonight itself. It is learnt that Meghalaya chief minister Conrad K Sangma, after coming from Garo Hills, where he kick-started campaign for Lok Sabha polls in Meghalaya, is camping at Vivanta by Taj in the city. Sources said, all the BJP leaders are having discussions with Conrad K. Sangma, who is the national president of the NPP. Sources informed ‘Northeast Now’ that along with Jarpum Gamlin, the other Arunachal BJP leaders who are likely to join the NPP are Arunachal Pradesh home minister Kumar Waii, tourism minister Jarkar Gamlin and five other MLAs. At a time when the Bharatiya Janata Party (BJP) is dreaming of winning most of the Lok Sabha seats in Northeast and coming back to power in Arunachal Pradesh, the erosion in the party ahead of the polls is significant. On the other hand, shifting of BJP leaders from the North East Democratic Alliance (NEDA) to the National People’s Party (NPP), which a part of NEDA, has become a matter of concern for the BJP.